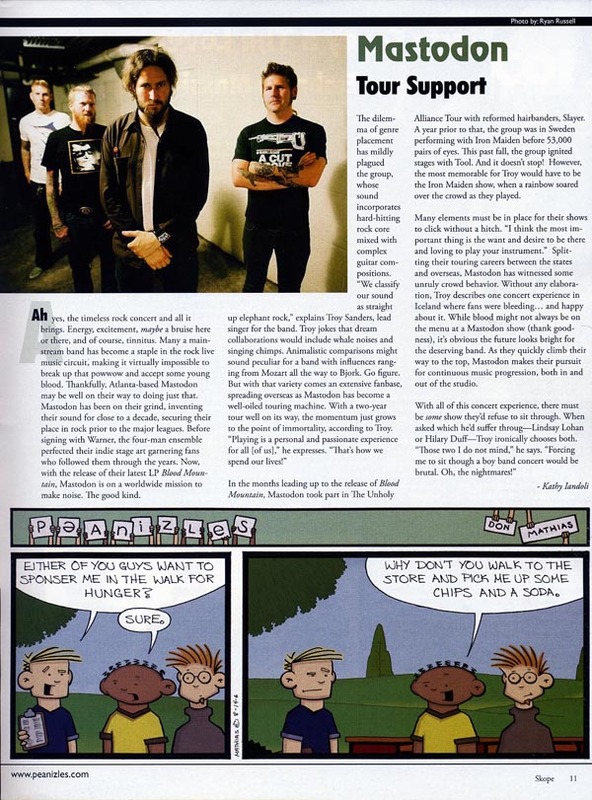 In June of 2004 Peanizles hit the magazine shelf of bookstores around the world. It was in that issue that a bland, black and white comic strip appeared featuring Chuck B., Mingus and a rare glimpse of Sydnie. 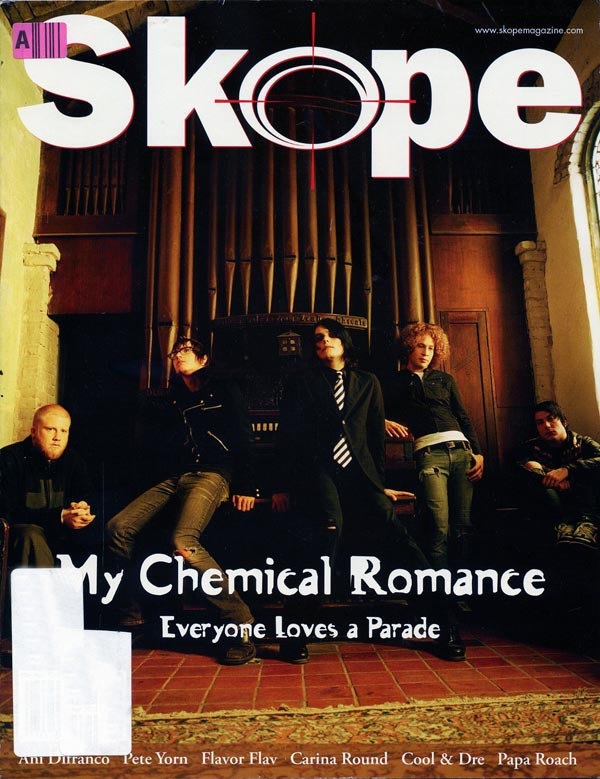 At that point Skope was an up and coming music magazine having just transformed from a black and white ‘zine to a full color magazine taking on the big guys like Rolling Stone and Spin. In the next twenty four months Skope was distributed all over the world, reaching readers as far away as Australia and being sold in bookstores everywhere. But, given the unfortunate trend of print magazines being hit hard in 2008 Skope fell victim to the recession and became a digital only magazine. Peanizles appearing in the magazine on a regular basis fell by the wayside. Until now. Peanizles is, once again, available on Skope. So, take a minute if you have it and check out Skope when you get a moment.